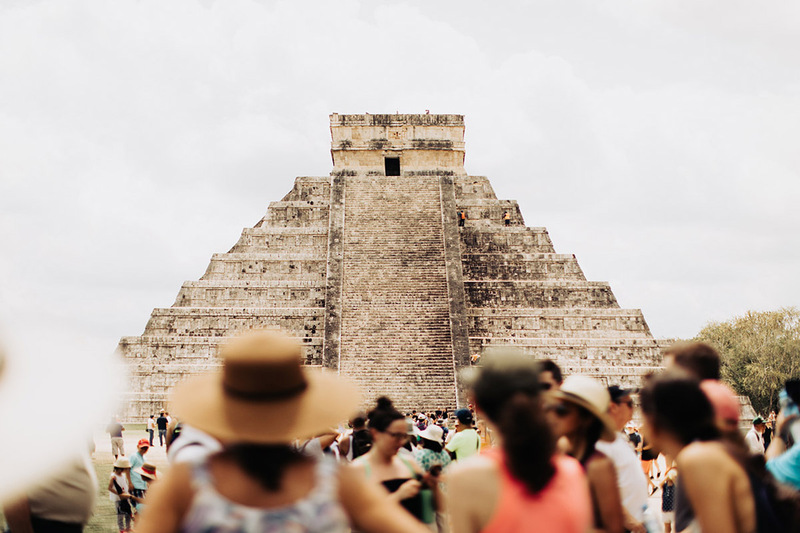 Which Chichen Itza tour is the best? While I have only taken this one, we loved it! How much does it cost? It is $232 pesos which converts to $11.32. There are two separate windows so make sure you get BOTH tickets. Also, the Chichen Itza is big and can be SUPER hot. Make sure you have/drink lots of water. Can you climb the Chichen Itza? When we were there they no longer let you climb the Chichen Itza. How close is Checken Itza and Iz Kil Cenyote? We were lucky enough to go on a bus tour which took us from Chelem (near Progresso) to both the Chichen Itza and Iz Kil Cenyote. They are probably 15 min apart. If you want to see where we went next, you can click here.